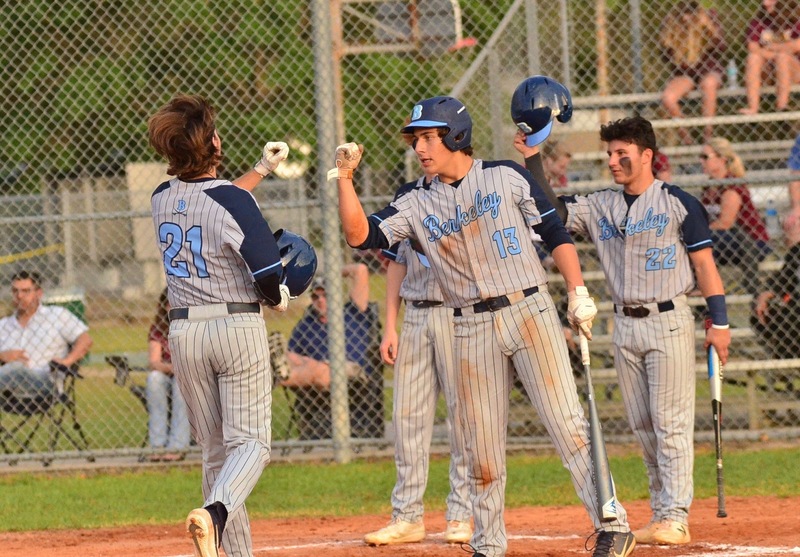 Berkeley Prep sophomore Johnathan Bruno is the first to greet Brooks DeBartolo's Ryan Bradarich (No. 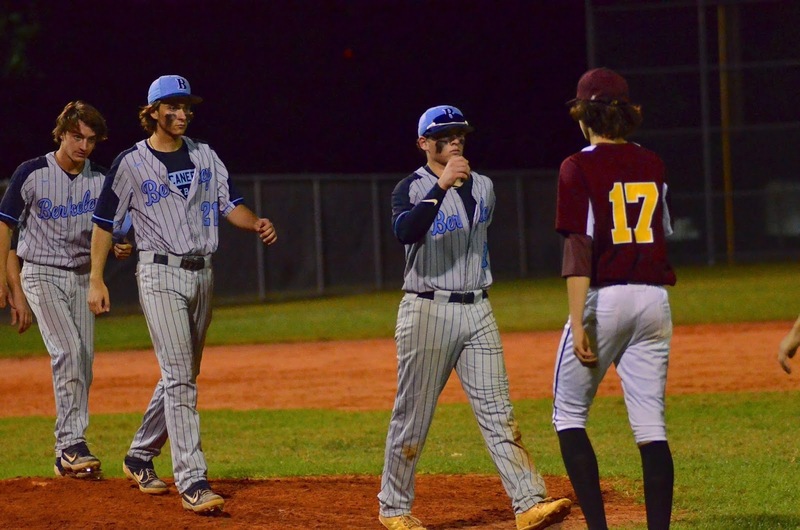 17) after the Buccaneers district win on Friday. TAMPA - Berkeley Prep jumped out to a big lead, and though Brooks DeBartolo kept fighting, the Buccaneers pulled out a decisive 19-7, district win on the road. 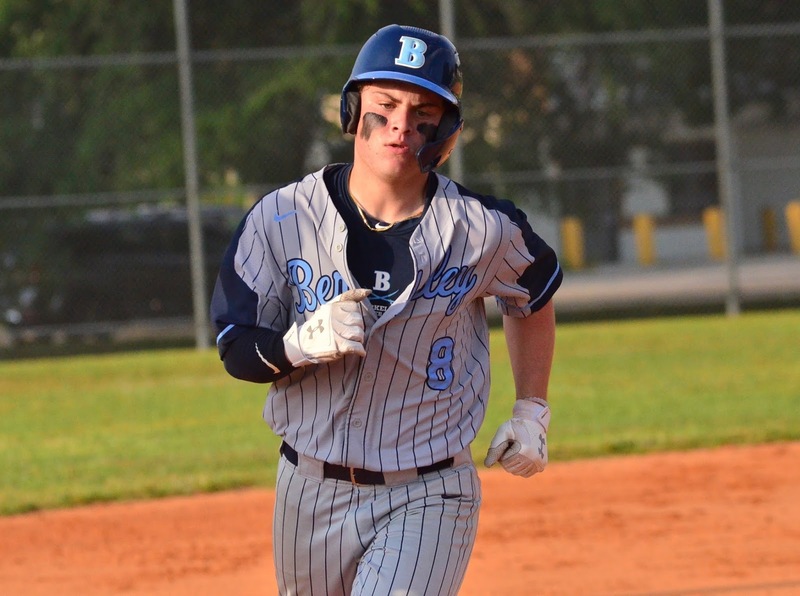 Berkeley Prep (10-4, 5-2 in Class 4A-4) pounded out 20 hits, including seven doubles and home runs rom Johnathan Bruno and Trey Hinchliffe to defeat the Phoenix. Brooks DeBartolo got a homer from Stephaun Haylock and doubles from JJ Barretto (two) and Ryan Martin in the loss. 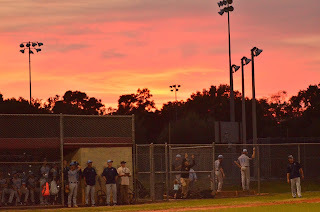 Andy Warrener was out for 813Preps with his camera and caught some terrific action from the game. 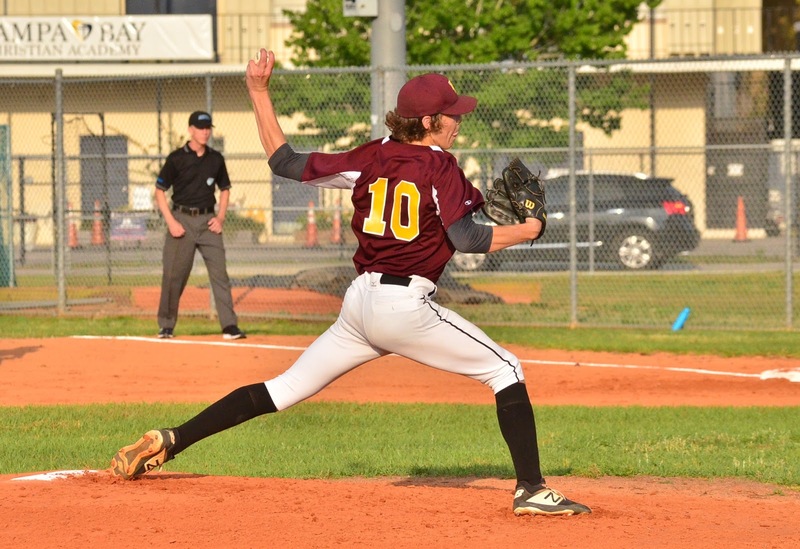 Make sure you follow Andy on Twitter at @jawarrener. 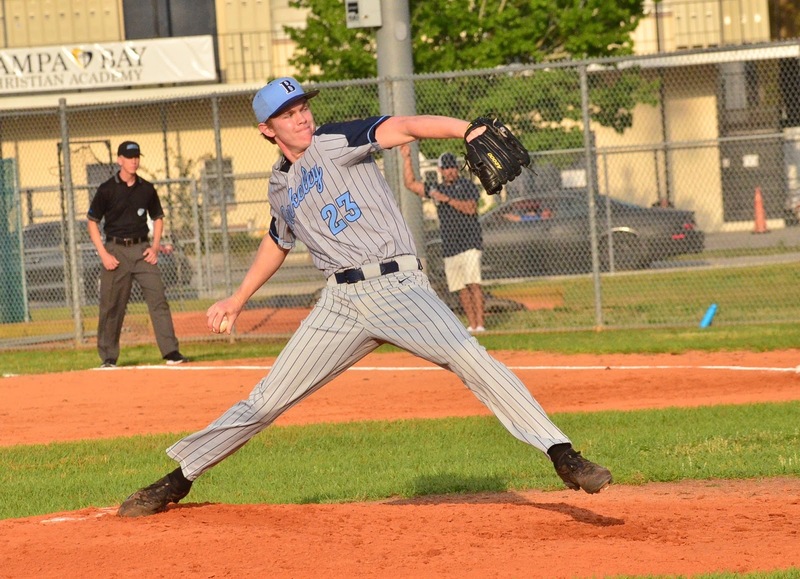 Brooks DeBartolo junior pitcher Reece Corscadden got the start on the mound. 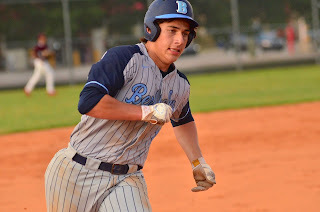 Berkeley's Johnathan Bruno kicked the night off with a home run in the first. 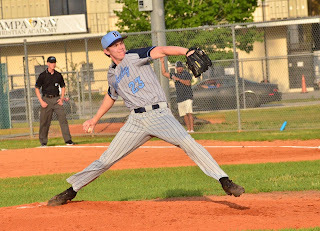 Senior John Dooley struck out five in four innings on the mound and earned the win. Phoenix soph. 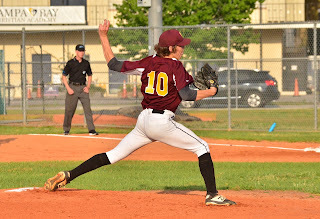 Jace Hoffman makes a throw across the diamond. Hoffman was 1-for-3 with a run scored. 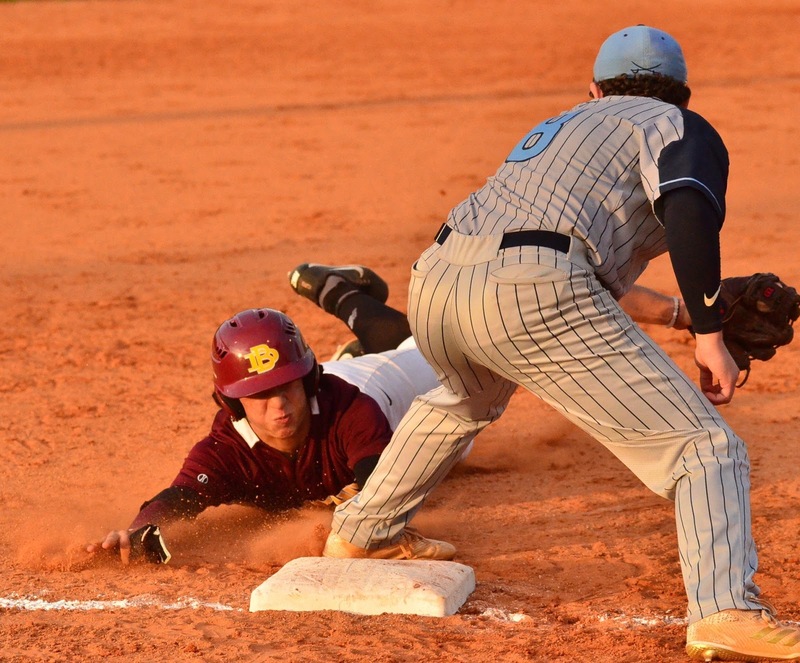 Junior Roman Samson moves around the bases, he was 4-for-6, with a double, two runs scored and an RBI. 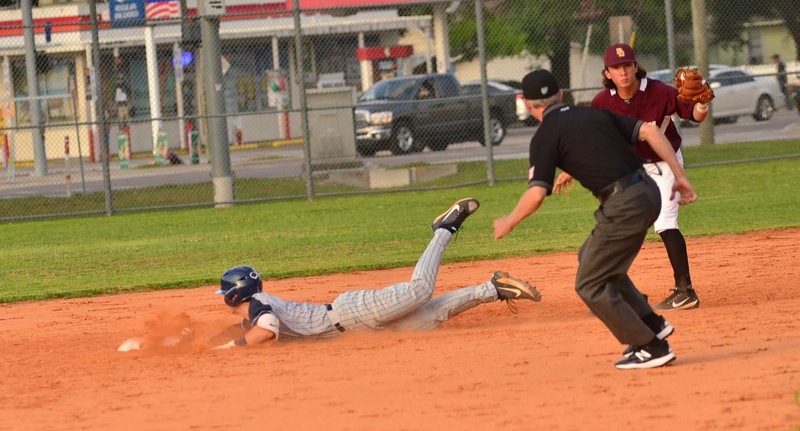 Davis Childers slides into second on one of his two doubles in the Bucs win. Childers had four hits and four RBI. 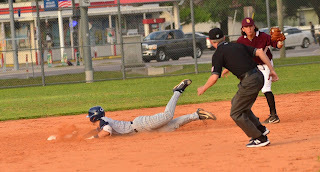 Trey Hinchliffe also drove in four runs in the game. 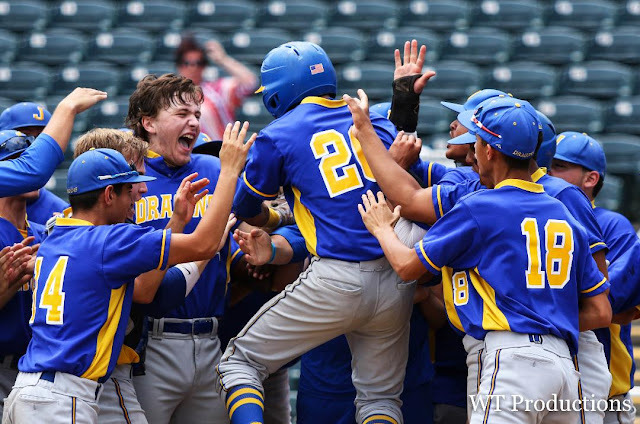 Here he is greeted at the plate after his second inning home run. 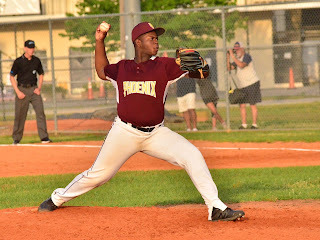 Jaeden Johnson worked two innings for the Phoenix on the mound. Freshman JJ Barretto slides into third for Brooks DeBartolo. Barretto had a pair of doubles in the game. 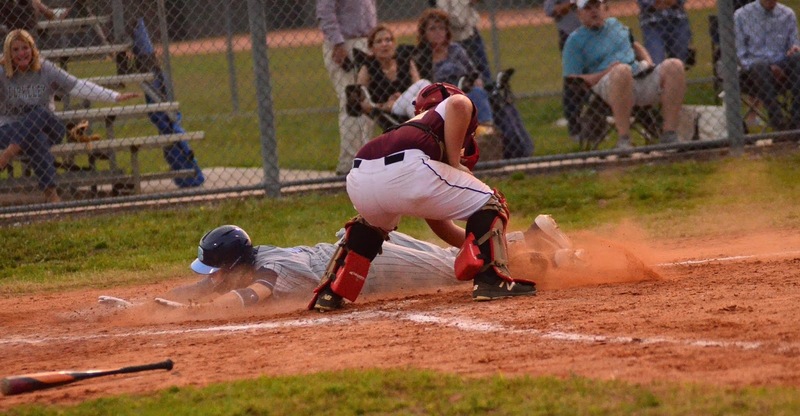 Berkeley Prep's Cade Kurland slides in under the tag, scoring one of his four runs in the win. 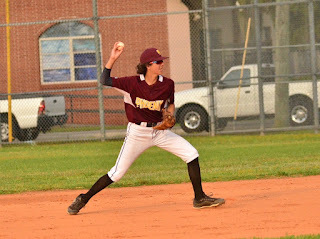 Kurland had a pair of doubles and an RBI. A sailor's delight: The red skies behind the visiting dugout at the baseball fields off Rome Ave.